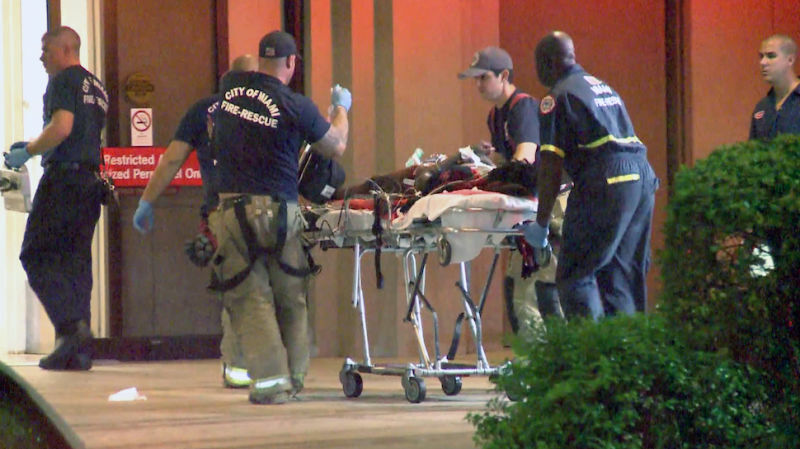 Police in Miami report that fifteen people have been injured in a shooting at a Miami nightclub early Sunday morning. The injured ranged in age from 11 to 25 and at least one person is in critical condition, the AP reports. Rescuers found wounded people inside and outside the club, some too hurt to flee, Miami Fire Rescue Capt. Ignatius Carroll said. Investigators are still unclear on what spurred the shooting and are in the process of going from hospital to hospital to interview witnesses. Police still don't know why children as young as eleven were permitted at the nightclub at such a late hour, but are hoping to learn more through their investigation.